As much as you try…Sometimes you just gotta let it happen. 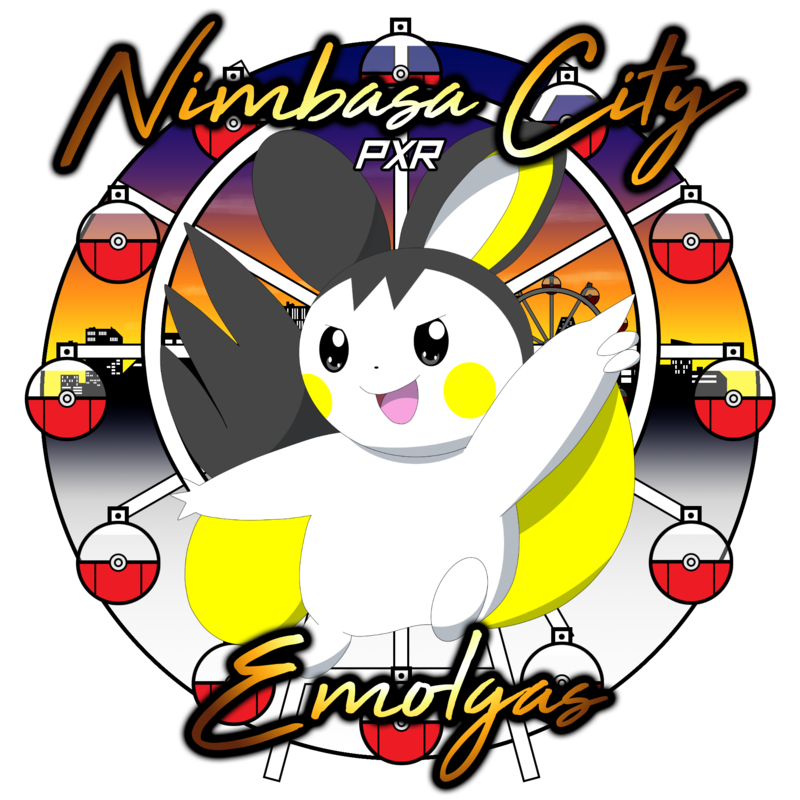 It is time for an UPPL Update with your hometown heroes, The Nimbasa City Emolgas! During our Week 4 battle we were pitted against another new battler. That is because we were facing Micheal and his Di Teddiursa! So get ready for a battle between the minds as two young battlers go out against each other! Micheal and his Di Teddiursa from Pokemon Rollout are rather new to the battle scene when it comes to Pokemon. Though, he has plenty of experience when it comes to battling in a Dungeons & Dragons setting. Also, so far in the draft league Micheal has been doing pretty well. Before our battle, Micheal’s record was 2-1-0 with his first lost coming from Week 3. 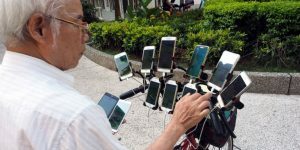 That is all thanks to the Pokemon he has drafted and the strategies that he has developed. I knew that if you underestimated Micheal then the battle can go south quickly. 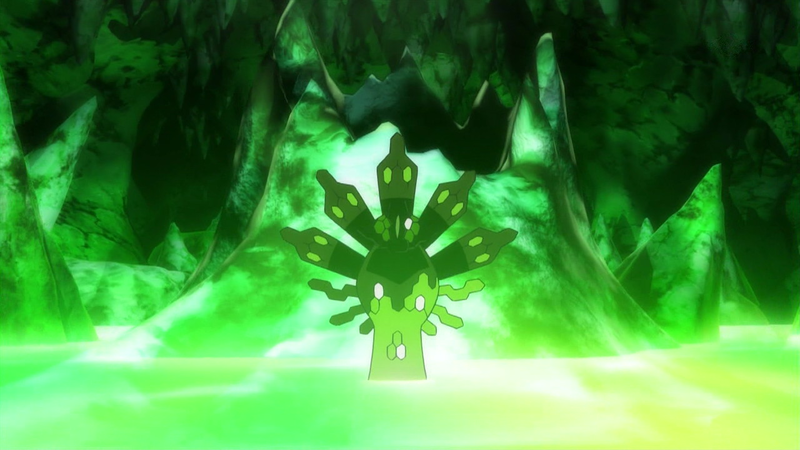 The biggest threat that Micheal had on his team was that Zygarde 50%. Prior to the draft league, Zygarde 50% was banned to Ubers. That was because of how it over centralized the meta. It was mostly because of attacks like Thousand Arrows and other things that it can use against it’s checks. Either way, I was expecting to see why it was banned to Ubers up front and personal. After all, it had powerful attacks like Thousand Arrows which can hit anything and prevents safe switches to Flying type Pokemon. It also has powerful Dragon attacks that could be fired off. What is even scarier is how it can boost using Coil to raise Attack, Defense and Accuracy. 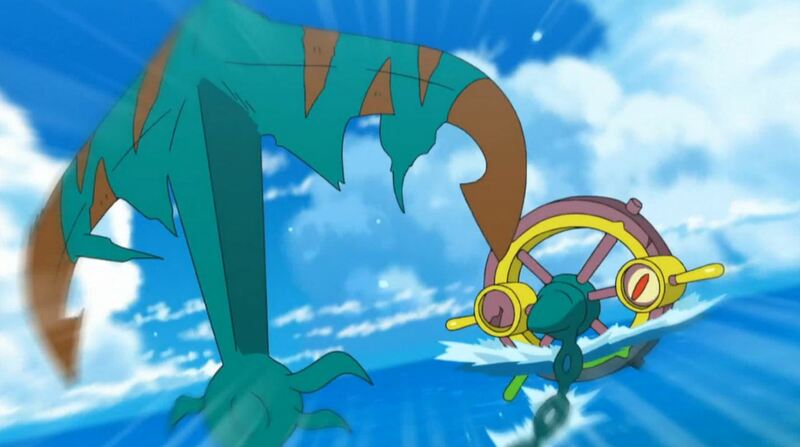 If a Coil is used then my Volcanion wouldn’t be the only thing that would like to avoid Zygarde. Bronzong and Suicune were two things that I had to keep an eye on as well. 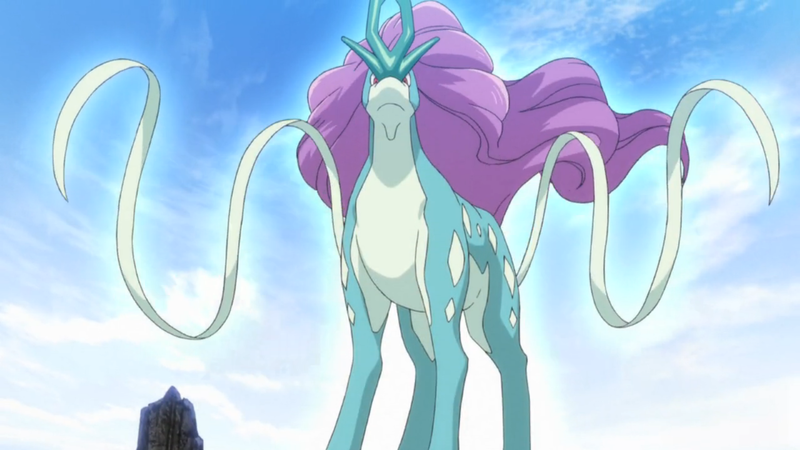 Suicune is a solid and old favorite that has been doing the same thing as it has always done since Generation 2. Suicune is the original bulky water who can take hits and dish them out. This Pokemon has attacks like Calm Mind to boost it’s Special Attack power. That means an even more powerful Scald. It can hide behind Substitute or Protect to scout moves or simply take a turn of Leftovers recovery. If it can’t hurt a Pokemon with Scald then there is always the option to use Toxic to let the poison slowly overcome it’s opponent. Either way, I didn’t want to let Suicune stay out too long. Bronzong was another defensive wall that I wanted to get rid of quickly. It has two great defensive abilities that makes it difficult to attack. Heatproof means Fire attacks were useless. Meanwhile, Levitate makes Ground attacks like Earthquake pointless. If I am not careful then I could waste a turn trying to hit a Bronzong while taking damage. Also, Bronzong does have some decent attack power. Rotom-Heat was something I didn’t want to face. Especially with Kartana who has been my number one sweeper. If I wasn’t careful then Kartana or another one of my Pokemon could get hit with a STAB Overheat. I felt that Micheal could have brought Rotom-H as a counter against Kartana to stop any possible sweep. 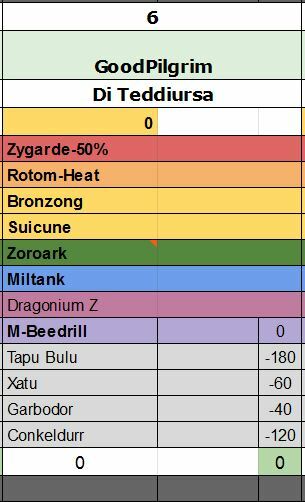 Tapu Bulu, Conkeldurr and Mega Beedrill rounded out the team when it came to possible threats from Micheal. 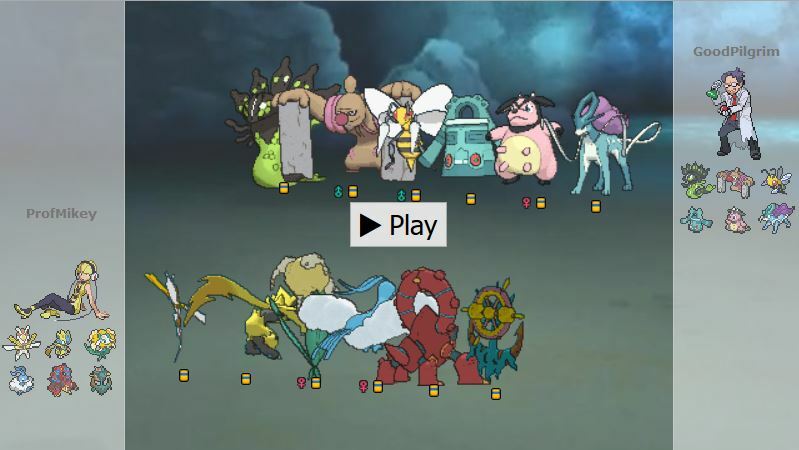 These Pokemon have proven to be heavy hitters when it came to Micheal’s draft picks. All three of these Pokemon have the attack power to knockout things and put huge holes in my team. After all, Micheal made a good attempt at a comeback with Tapu Bulu in the week before. He may not have been successful but that run was enough to get Tapu Bulu a few good hits. I knew that if one of these three Pokemon came out then something was going to get hit hard. Now, what could I bring to counter these big Pokemon that Micheal could bring? The first thing is that I needed to decide was not to bring Gliscor. This Pokemon has always been my to-go Pokemon for my teams for the last few weeks. Though, Gliscor’s performance in the last few weeks has been lacking. My opponent’s have predicted this Pokemon and have properly countered him. Seeing Suicune, Conkeldurr and Zygarde 50 on Micheal’s team made me decide to keep Gliscor on the bench. These three Pokemon could hit Gliscor pretty hard with Suicune’s Ice Beam, Conkeldurr’s Ice Punch and Thousand Arrows from Zygarde 50. What I did need to bring was Volcanion. He took a week off last week so he was excited for battle. Especially if there was a Suicune and Bronzong who would not want to take on a Volcanion at full power. After all, Suicune could not hurt Volcanion outside of Toxic. If Micheal did bring a Calm Mind set then I can easily use Roar to phase out Suicune. Bronzong was only a real threat if it had the Heatproof ability which would make Vocanion’s STAB Flamethrower too weak to use. Though, with Zygarde running around, I needed to make sure I take really good care of Volcanion. That also meant not taking on Toxic from Suicune for too long. That leads me to Florges who was going to act more like a cleric this week. She was armed with Aromatherapy to heal off any Toxic damage I could get. This was mostly to support Volcanion who didn’t want to be weaken too much by Toxic. Though…I am not sure how successful I was at that. 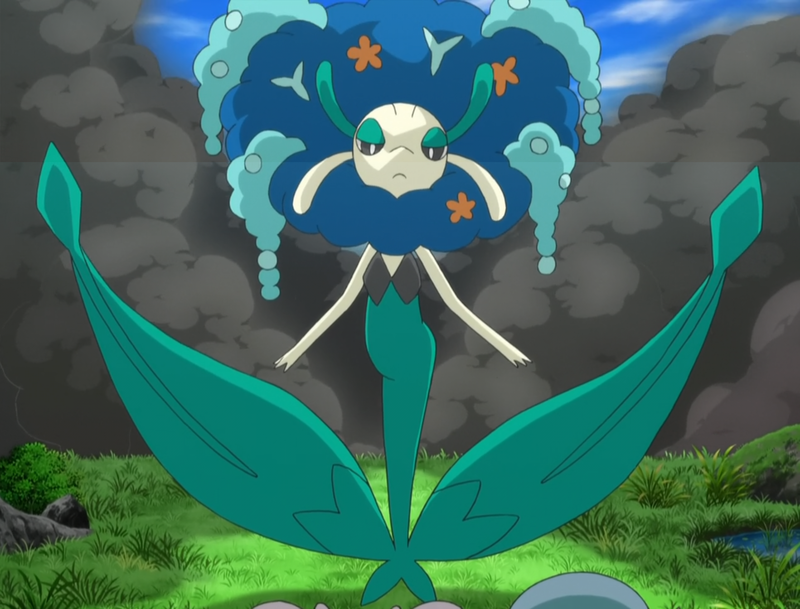 Also, Florges has a pretty powerful Moonblast that can be used to put a dent into Micheal’s Zygarde. Zeraora was brought on this week as a way to hit Suicune really hard if I needed to do something. This would especially be true if Volcanion goes down early in the match. I also wanted to use Zeraora’s Hidden Power Ice as a way to take down Zygarde 50 if I needed to put it down with Ice. Kartana is just a good Pokemon to have as a revenge attacker. Attach a Choice Scarf and use as a last resort against Suicune. I knew it couldn’t do too much against Zygarde and Rotom-Heat. Though the real aim with Kartana was to knockout Tapu Bulu and Mega Beedrill. Those two Pokemon wouldn’t appreciate a Smart Strike. Newcomer for this week was Dhelmise. I had picked this Pokemon late in the draft as a substitute for Virizion. I wanted a Ghost Pokemon but also something that had pretty solid status. It just so happen that Dhelmise could hit hard and resist Zygarde 50’s Thousand Arrows if I needed to switch into it. Dhelmise could also hit Suicune pretty hard if needed. Though, something that I found out during testing was that Dhelmise can take on Mega Beedrill as well. Even if it uses a STAB Poison Jab. All I had to do at that point was slap on a Choice Band and use Earthquake. Once that happen then Mega Beedrill was no more. Let just hope that Dhelmise puts on a big debut performance. The stage has been set! The players are in place! It is now time to preform our battle! Who will put on a better performance? Find out soon enough! Did I call the team wrong! Only half of the team I had called while the other half was things I didn’t really consider. Either way, I was going to led with Dhelmise and just see what the old anchor can punch into. The first thing that made me ponder was that Miltank who went right ahead to set up Stealth Rock. I knew it could do that but I wasn’t sure what Micheal would do with it. I was really close to click on Power Whip to get a good STAB Choice Band hit. Though, I realized in the last minute that Miltank could have the Sap Sipper ability. That would have been horrible because it would have negated my attack but also give Miltank an Attack boost. I couldn’t let that happen. But now I have Stealth Rock on the field! I couldn’t have this mess out! That means I needed to swap out and get Dhelmise back out to Rapid Spin them away! Good thing Florges is a decent wall. The problem was that Miltank was giving out some bad milk in the form of Toxic. Now Florges was Toxic and this Miltank was still out. I wasn’t going to let this get to me but I figure I might as well return the flavor by using Toxic on Miltank. That way I could at eventually force it out of the active. I just needed to make sure I get the Toxic off my Florges. After all, if this was going to be a battle to see who could outlive who. I knew Florges had it in the bag between Aromatherapy, Synthesis and Moonblast. One of the key moments in this battle was Dhelmise coming in on Miltank when it used Seismic Toss. That was because Dhelmise was immune to Seismic Toss because Miltank lacked Scrappy! Though…Now Dhelmise was Toxic. Either way, I wanted to get rid of Stealth Rock which means I needed to use Rapid Spin. But the Stealth Rock kept coming back! No matter who I switch back to, I had to go back to Dhelmise who kept using Rapid Spin. That got rid of the Stealth Rock but eventually Mega Beedrill came out while Dhelmise was out. Dhelmise had to use Rapid Spin but Mega Beedrill came out. Luckily, it seems like Micheal predicted my Volcanion to come out when in reality Dhelmise was still in. 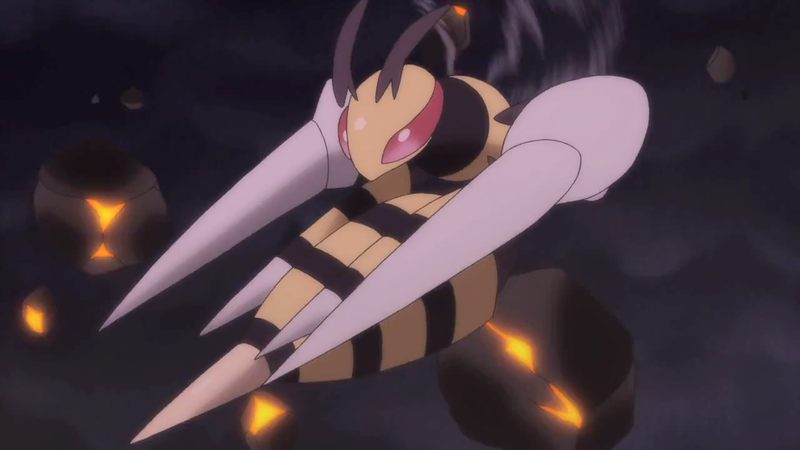 Now, I knew that whoever came out to see Mega Beedrill was going to take some heavy damage. I figured if somebody was going to be knocked out then might as well be Dhelmise at this point. So we just stayed there with Dhelmise who was taking hits from Mega Beedrill. Meanwhile, we just kept using Rapid Spin on imaginary rocks. And Micheal being a pro at strategy made sure to use U-Turn on the turn that would knockout Dhelmise to put himself in a good position. 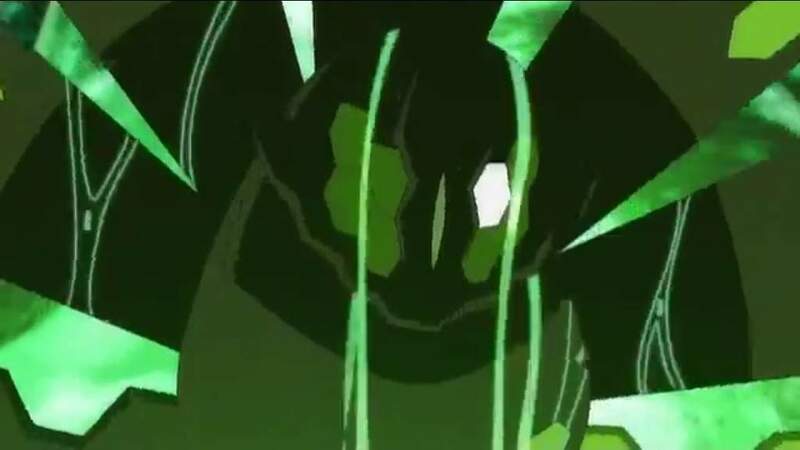 That just happen to be Zygarde 50. My best bet was to go to Florges to tank some hits and use Moonblast. It turns out Micheal came prepare for a Fairy counter because Zygarde 50 was swinging with Iron Tail. The problem was that Iron Tail missed. It also missed again when Micheal had Zygarde 50 use it a second time. All I needed was to use Moonblast twice. Now, this was an important moment of the battle. That is because Micheal lost his big attacker due to hax. Iron Tail does have low accuracy but if Florges had taken at least one of those hits then she would have been down 60% of her total HP. If both of those attacks had hit then Florges would have been gone. It was obvious that Micheal was saving Iron Tail for my Fairy Pokemon like Florges and Mega Altaria. Now, I did have other counters against Zygarde 50. The problem was that missing two Iron Tail was not going to help Micheal win the battle. Micheal could have used Coil to boost the Attack and Accuracy of Iron Tail. That could have guarantee a knockout on Florges while giving a Defense boost against a possible Mega Altaria counter. One threat down. Another to go and Micheal was making sure I see it soon with Suicune on stage. That didn’t last long because all Suicune did was use Toxic as Volcanion used Roar. I had made a note to make sure to use Aromatherapy with Florges to get rid of Toxic on Volcanion. And I was given the chance when Conkeldurr came out. It just made sure to use to Flame Orb to get a burn to activate Guts. Now, I had no idea how much a Guts boosted Conkeldurr could do. Though, it can do a lot of damage to a Florges when using Facade. Luckily Florges lived with one HP to fire off Aromatherapy. I figured that if I was going to live an attack then I might as well make sure Volcanion was healthy. Though, maybe I should have used Moonblast to take a knockout. Overall, my priority was to make sure Volcanion can stay a long time without having Toxic on it. But as saw in the video, Mega Altaria simply needed to break though with a Fairy Return to take down Conkeldurr. Now the fun part happens with Suicune comes in and use Ice Beam on an incoming Volcanion! Hax gives. Hax takes. And now Hax returns with Freezing Volcanion! Did you that Steam Eruption can thaw out frozen Pokemon? I sure did but forgot for a few turns and tried to thaw using Flamethrower. Why can’t Fire attack get rid of Freeze? I don’t know but could Pokemon change that so it could happen? Thank you. That is fine because Micheal realize that if he couldn’t Toxic Volcanion with Suicune then there was no point to stay in. That is why he swap to Miltank to do some damage to Volcanion. He did but then I decided on a whim to attack with Steam Eruption. That had remove the freeze from Volcanion, knockout out Miltank and reminded me that Steam Eruption can remove freeze. Micheal eventually got Toxic on my Volcanion making what I wanted to avoid happen. This time there was no Florges cleric to remove it. Well, that was swell. From this point on it was hit after hit! Punches were flying and Pokemon were dropping! Eventually it got to the point where I had Suicune right where I wanted. Alone while facing a Kartana armed with a Leaf Blade. It had cost me a Volcanion but I didn’t want to take any chances with a random Burn on Kartana to prevent this knockout. After all, I learn last week what happen if you don’t reset an attack from a Choice item. In the end, we took another win against Micheal and his Di Teddiursa. It was a great battle and it certain shows. 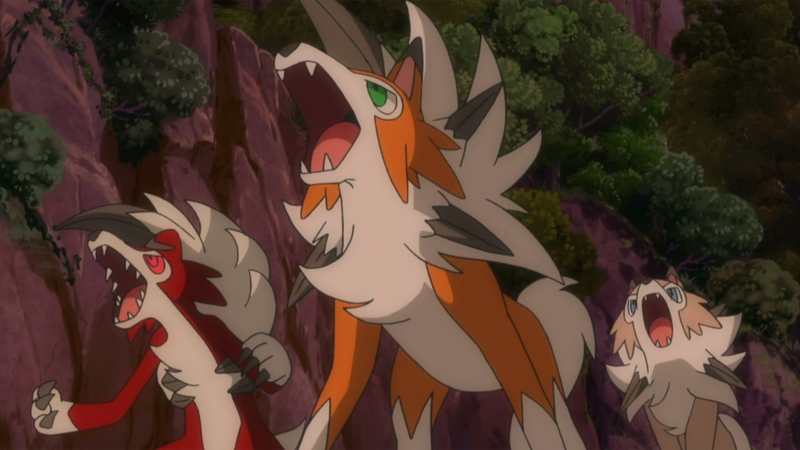 Coming up next is Ash from Safari Zone Podcast and her Albuquerque Lycanroc! The Nimbasa City Emolgas has some prepping to do. Especially because Ash has some experience in the competitive battling scene. She knows her competitive battling and it shows with her picks. Ash has some serious picks such as Togekiss who is infamous for using Para-Finch tactics to wear down opponents. She also has Excadrill who can hit our Fairy Pokemon pretty hard with STAB Steel attacks. It is also no slouch with Ground attacks too. There is also Serperior who if left uncheck can run down any team with Leaf Storm boosts thanks to Contrary. Lastly, Chandelure who demands respect. Especially for Kartana or any Pokemon that follows him. Plenty of big threats to worry about when facing Ash. Your Nimbasa City Emolgas have a battle ahead! So get ready for a shocking battle as an Emolga takes on a pack of Lycanroc!